I love reading articles and research about how we learn and how the brain works and develops. I saw this article below and just had to share it. The article really stresses that children retain more knowledge if they move and connect actions and movements to their learning . 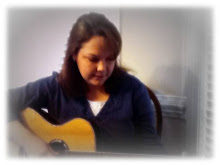 As a music therapist, I strive to find ways to incorporate many different movements within songs I sing with students. We count with our fingers, we incorporate sign language for certain vocabulary words, we move to the music and we pat the beat on various parts of our body to stay together and engaged. I think this research is right on the money! Children and adults of all ages learn more when movement is combined with new content and information.